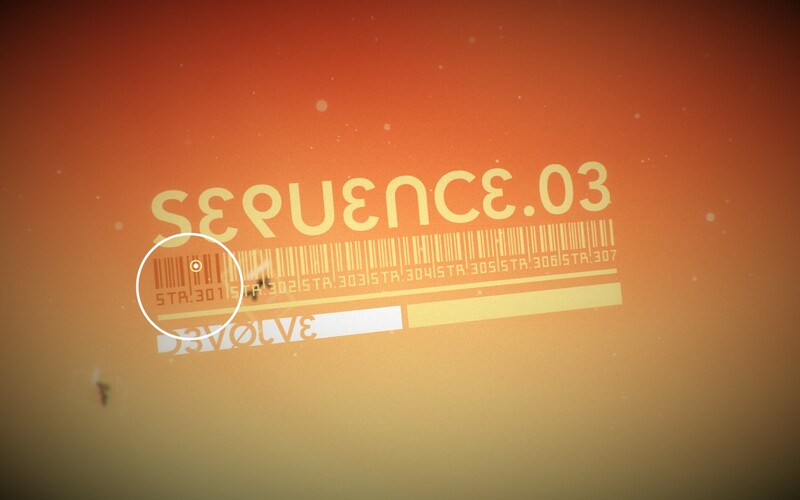 The Refined Geek » Splice: A Melodic, Soothing Puzzler. 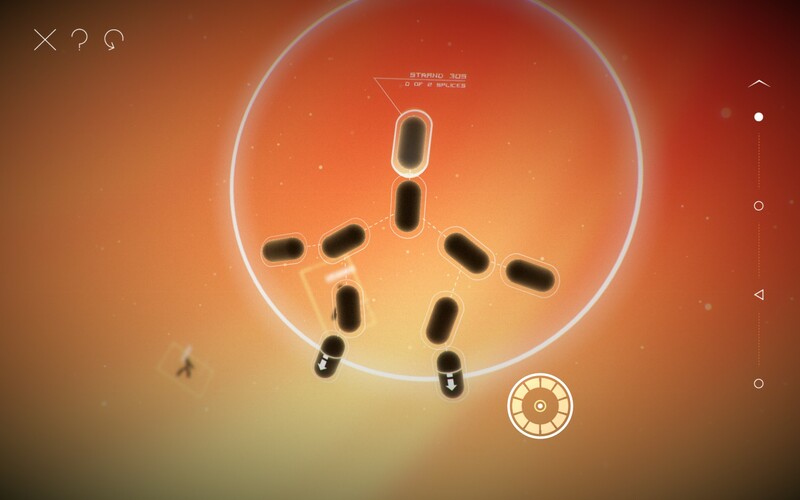 Splice: A Melodic, Soothing Puzzler. Cipher Prime studios have something of a reputation when it comes to making casual games that have a bit of auditory and visual flair to them. I first came across them in late 2010 when I snagged an indie bundle from them, mostly for the other titles that were included in the bundle. However Auditorium, a physics based puzzler that combined a gorgeous light show with some sublime music, managed to captivate me in a way I never thought a casual game like this would be able to. The infatuation was unfortunately short lived what with the torrent of titles that were released soon after as is custom for the holiday period. However since my first encounter with them all that time ago I’ve kept in the loop on Cipher Prime’s exploits and their latest title, Splice, managed to capture my attention once again. Like all of Cipher Prime’s games there’s no plot or characters to speak of in the world of Splice. You are simply presented with puzzles that have a definitive solved state, although how you get to that point is, of course, left completely unclear. 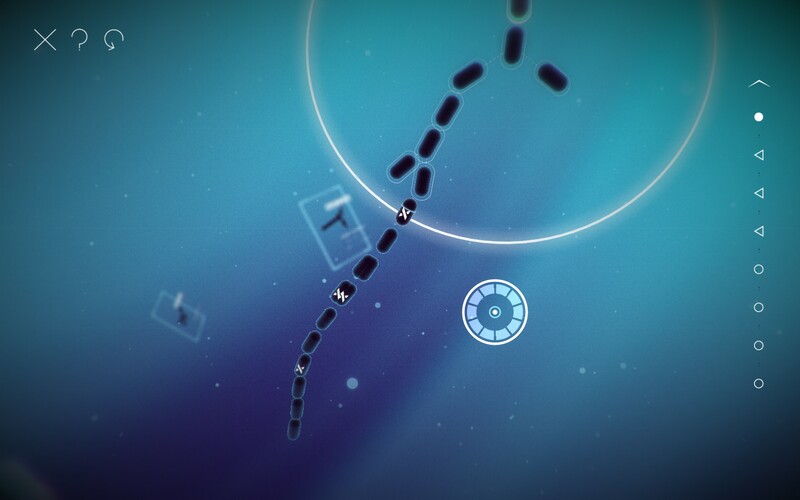 In Splice the main game revolves around attempting to match the sequence mapped out on screen with the various microbe looking tubes in a limited number of moves. This starts out simply with the puzzles being simple pattern matching exercises but the difficulty and lateral thinking required escalates quickly as you progress through Splice. As always Cipher Prime delivers on their trademark visual style combining modern lighting effects with a distinctive modern styling that makes Splice a joy to look at. I think the minimalist approach is what gets me here as there really are no extraneous elements on screen making the puzzle at hand the centre of attention. This when combined with the soothing and unrelenting backing track makes for a very pleasurable overall experience even when you’re seemingly stuck on a puzzle that you just can’t get past. Cipher Prime really has mastered this style of game and Splice just seems to be their latest demonstration of how much they’ve mastered creating puzzlers in this fashion. The core of the game is divided into 7 sequences, each of which contain 7 strands of an individual puzzle. As I alluded to earlier the mechanics in the beginning are quite simple being as close to a traditional puzzle as is possible in this format. 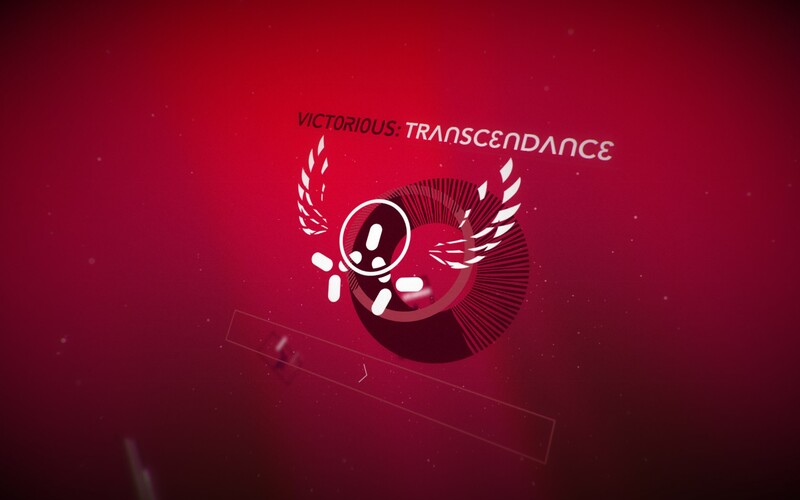 However after the initial sequence new mechanics are thrown into the mix that challenge you to rethink your strategies. Additionally Cipher Prime also cranks up the non-linearity of puzzles quite dramatically after each sequence as well, forcing you to reconsider the obvious approach in favour of something a little more non-traditional. The first of such mechanics is the split which allows you to split a segment, and anything attached to the end of it, in half. This makes for some interesting creations as when you’ve got a rather complicated structure on the end of a split it will duplicate the entire thing, usually leaving you with a tangle mess that’s no where near close to the solution to your problem. Most of the time though that initial mess is required to complete the puzzle which is where the heavy use of lateral thinking comes into play. You can also completely ruin a solution with a split in the wrong place but that’s why they included a reset button at the top. The second mechanic to be introduced is the spawn additional segment, pictured above. It’s incredibly simple in its function, it just makes another segment at the end. Whilst most of the time its obvious where this should go this mechanic combined with the split can make for some rather intriguing puzzles. It goes hand in hand with the third mechanic which is the bomb segment. The bomb will destroy itself and anything attached to the end of it which is usually required at the higher end puzzles to cull the additional segments created by complicated splits. The final mechanic is simply the one that allows you to leave segments floating around, in essence letting you know that you might be given more pieces than you need. Individually the mechanics are curious but nothing particularly revolutionary, providing a simple challenge that doesn’t take too much time to complete. When combined together however they can provide quite a deal of challenge to even seasoned gamers like myself. Whilst there’s a bit of a trick to working out whether or not you’re heading in the right direction (hint: try counting the number of segments you have, the number you need and then work it out from there) even once you’ve figured it out you’re still no where near the solution in some cases and you’ll often have to spend quite a while rearranging the pieces in order to solve it. Although its not like their other physics based games where emergent game play meant that there was sometimes unlimited solutions to certain puzzles I did get the distinct feeling that most puzzles had more than one solution. The solution pictured above is just one example where I’m not completely sure that was the one that was intended as whilst it works I came to it in a really roundabout way. I guess since one of the achievements is to complete a puzzle with 1 splice left over the multiple solutions aspect is probably an intended part of the game rather than an artefact of its mechanics. The one criticism I’ll level at Splice is its comparative value to other games. The core of the game is quite short being only two and a half hours long (although the epilogue might add another hour or two onto that) and for $10 it would be at the higher end of the price spectrum for a game of this nature. It’s a minor nitpick to be sure but its something to consider if you like to get more bang for your buck in terms of time played. 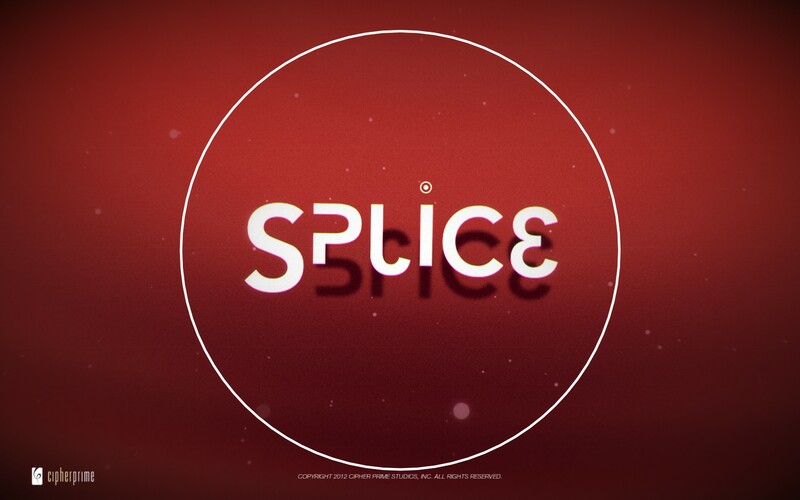 Splice is another great game from Cipher Prime studios combining an intriguing puzzle game with their trademark minimalistic visual style and smooth auditory backing. It may be only a short game buts one that’ll captivate, frustrate and entertain you all at the same time. Indeed nothing is more satisfying than going up against what seems like an nigh on impossible puzzle only to have solved it minutes later. If you’re after a distraction from the usual throng of mainstream games or just enjoy a good puzzler then Splice is definitely for you. Splice is available on PC right now for $9.99. Total game time was around 2.5 hours with 63% of the achievements unlocked.